After more than two years of design and engineering the incredible Hand Hawk is now shipping. 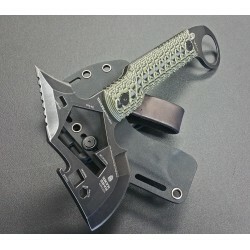 This versatile little tomahawk is a great first responder/rescue tool as well as survival axe. 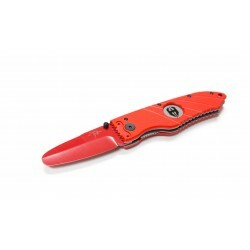 It is designed to wear comfortably on the belt with the handle up and out of the way. 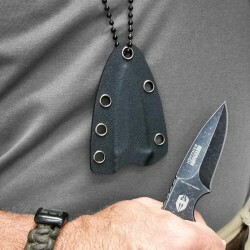 The hand Hawk is the perfect little tool you just cannot be without! 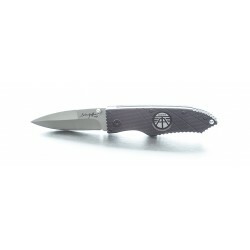 As a remembrance for our most recent win, this is the Limited Edition Houston Astros World Series 3.5" folding knife! 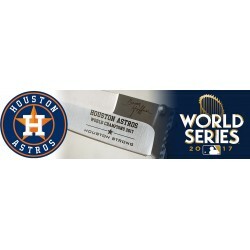 Special engraving on the blade reads "Houston Astros, World Champions 2017, Houston Strong". 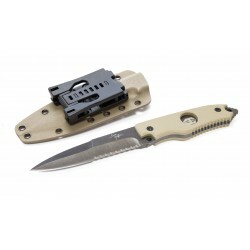 Supplied in a comfy folding knife gift box. Don Saathoff, Marine, Cop, Firearms Instructor, ALS Fighter, and Hoffner Knife Builder, built and signed knives to raise money to combat ALS. He asked me to design an engraved version to continue raising money and fighting ALS in his name. Don died Dec 21, 2017. 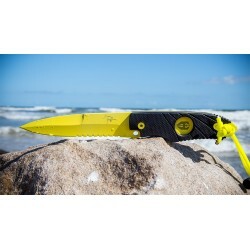 Here is his knife. It is a stunning and beautiful tribute to his life. 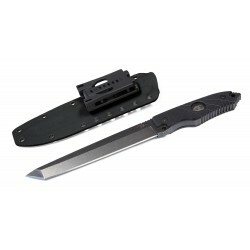 The Beast is a one of a kind urban rescue and field survival tool. 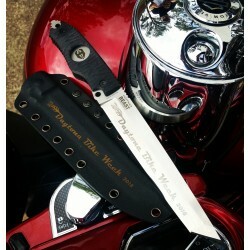 With the special edition Daytona Bike Week engraving of the blade and sheath it is truly a commemorative knife worthy of a great American event like Daytona Bike Week. 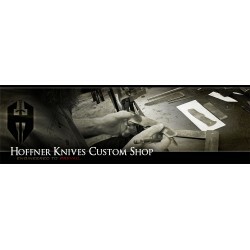 Out of the Hoffner Custom Shop comes incredibly beautiful and powerful knives from a collaboration of Brian Hoffner with extremely talented knife makers. The mission of the custom shop is to develop new product designs while bringing you knives like no other in the world, both in the production shop and from hands of masters with these incredible, one of a kind, masterpieces found only here. 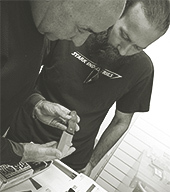 I am pleased to bring Matt Suddeth into the Hoffner Custom Shop. 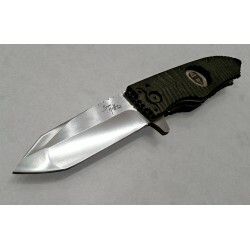 He is a talented knife maker whose work is refined but with a rugged, tough, edge, is just my style. Matt’s ability to share my ideas with his to create a wonderful handmade knife, for use with the Hoffner RGH System, but with his signature style of work screaming all over the blade is the prescription for perfection. 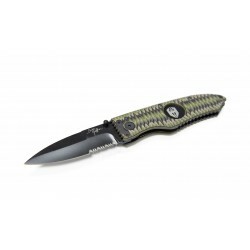 Through many, many hours of drafting, modeling, grinding, shaping, annealing and sharpening, a fine Hoffner-Suddeth masterpiece is complete and ready for your collection. 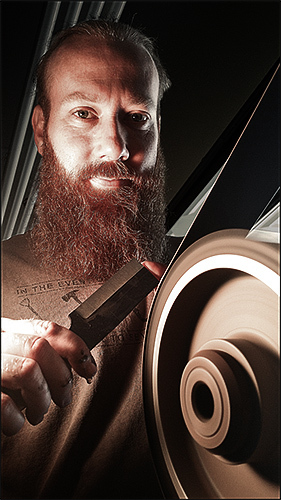 "Matt Suddeth of Katy, Texas first gained recognition for his contributions to the 2009 Lark publication 500 Knives: Celebrating Traditional & Innovative Designs. 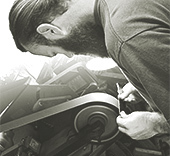 Suddeth, whose rugged, self-sufficient personality is reflected in his knives was recruited straight out of high school to fabricate precise scale models for wind tunnel testing aerospace parts and structural elevations including oil wells and derricks. Suddeth’s high energy, hand crafted designs are uniquely suited to the Hoffner brand."